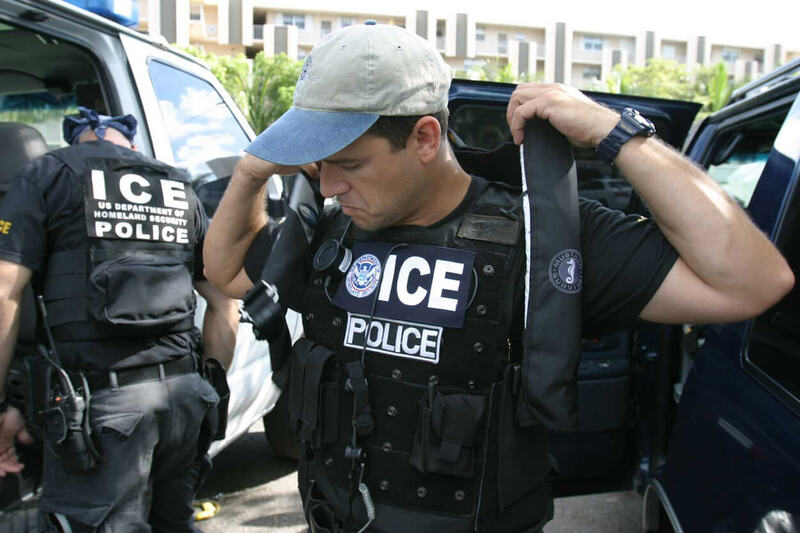 U.S. Immigration and Customs Enforcement (ICE) SWAT officers. Public domain photo courtesy the United States government. With a new president promising to crack down on immigration, we have to look at the history of deportation and exclusion in American policy. Although exclusion through immigration policy has a long history in the United States—dating back to the National Origins Act of 1924—the change to prioritize the enforcement against groups such as Mexicans and criminals took shape in the mid-1980s and early 1990s. However, things changed again after 9/11. The enforcement practices which followed 9/11 were framed as anti-terrorist, but they had broad impact by increasing the participation of local law enforcement in immigration enforcement. This collaboration is now being studied by crimmigration (criminalization of immigration law and procedure) scholars and is also referred to by immigrant rights groups as the polimigra, a Spanish term for the collaboration between Immigration and Customs Enforcement (ICE) and local law enforcement. In a place like North Carolina, which experienced a large increase in the Latinx population from 1990 to 2010, most of those who have been caught up in this internal—as opposed to border—enforcement and subsequently deported have been of Mexican descent. Notably, although immigration bills have been designed to expand immigration enforcement and decrease immigration, caveats are often made for those working within the agricultural sector. As we enter a new presidential regime with an overt emphasis on banning Muslims and erecting a wall between the United States and Mexico, we must remember that under the Obama administration (2009-2015), 2.5 million people were deported through immigration orders. Some of those deportees did not have any criminal record, which is often cited as the rationale for deportation, particularly in public rhetoric. In 2015 and 2016, the priority classifications governing who should be deported were outlined in the Priority Enforcement Program. Although recent reports claim many more deportees fall into the Priority 1 categories—described as “threats to national security, border security, and public safety”—some of the reported numbers from counties with a 287(g) program (a partnership between local law enforcement and ICE that allows officers to further interview immigrants in local jails) in North Carolina do not reflect this increase. With this context in mind, I show in numbers the size of the growing immigrant population in North Carolina, the importance of agricultural workers to the state, and the breadth of local immigration enforcement.